Golden, BC is an adventurous little playground about 3 hours drive west of Calgary. 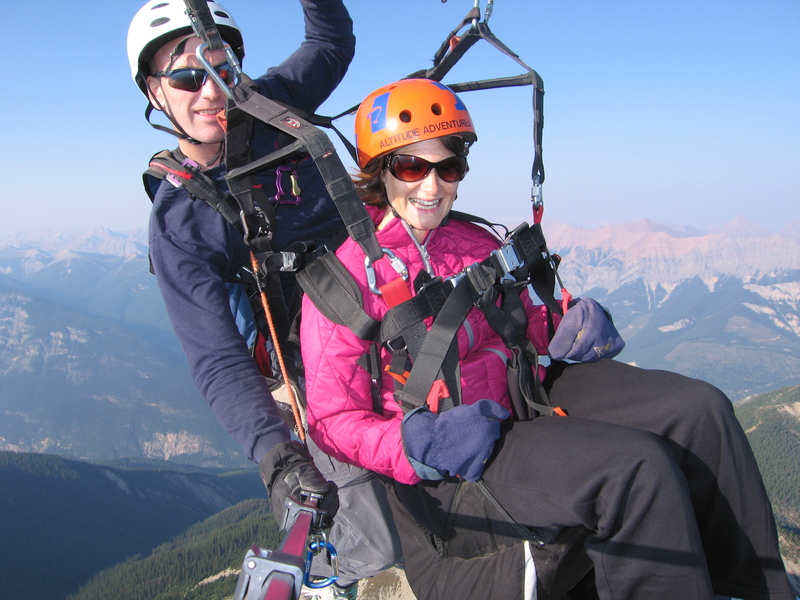 I wanted to do something really amazing for our wedding anniversary last year so I hooked us up with some tandem paragliding- WOW- the most thrilling 45 minutes of my life. My poor husband was a slight shade of green so land lovers beware! Those of you who love to take to the air- this is the perfect adventure. The price point is amazing (I think it was about $180 pp), you get all the gear, a little lesson about what to do and expect, skilled and personable pilots and one of the most incredible jump off spots on earth- Mount 7!! Mount 7 is actually world reknown by gliders as a great mountain to get a good distance flight from. I went super high and I was likely a good 11 000 ft up in the air. I could see the back end of the mountain range at Lake Louise and in every picture I am sporting an ear to ear grin! Scott, one of the pilots, was amazing to deal with and the customer experience was pretty outstanding. I did take my camera but was so excited I forgot to take pictures!! Thankfully your pilot takes stills and videos and sells them back to you for a nominal cost-well worth the cash as they are a memory we treasure! 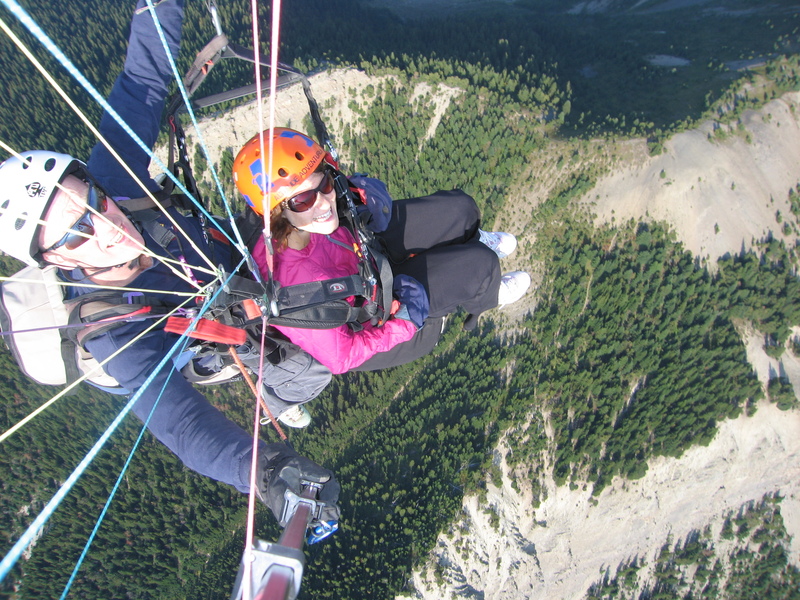 If you are looking for a great afternoon adventure, then head to Golden and take to the air! !